Just after buying my Discovery, I spent time looking for things to add to it both inside and outside. After looking at different websites and millions of pictures, both of UK cars and in particular U.S. cars, I found the all the US spec Discovery's seem to have some funky large cup holders fitted on the centre console. So I searched for these and then ordered a set from my local dealer. 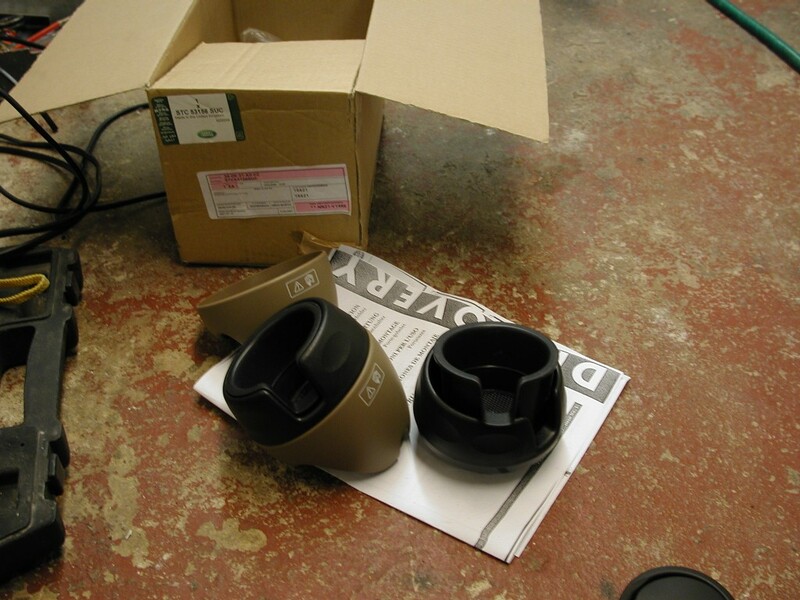 These were actually the "first" thing I bought for my Disco, however I never actually fitted them till today 03/02/08. Why it took so long I don't know, maybe its the fact that once they are in ......they are in!!! as they require 6 holes drilling in the centre console to fit them. They are not just useful for cups, but for change , keys or even mobile phones etc would happily sit in them. 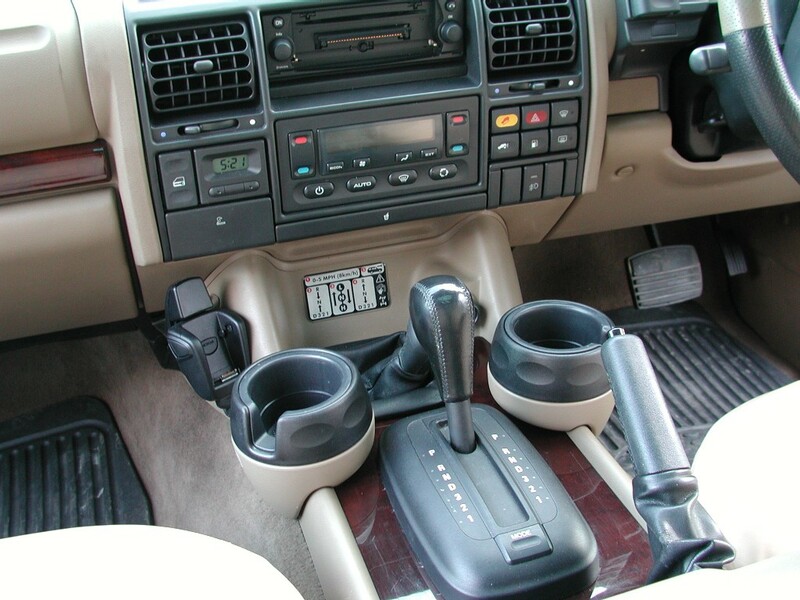 The Disco obviously has the factory holders that pop out the dash, but once you put a drinks can or bottle in them, then it blocks the aircon controls, so its a bit of a pain. 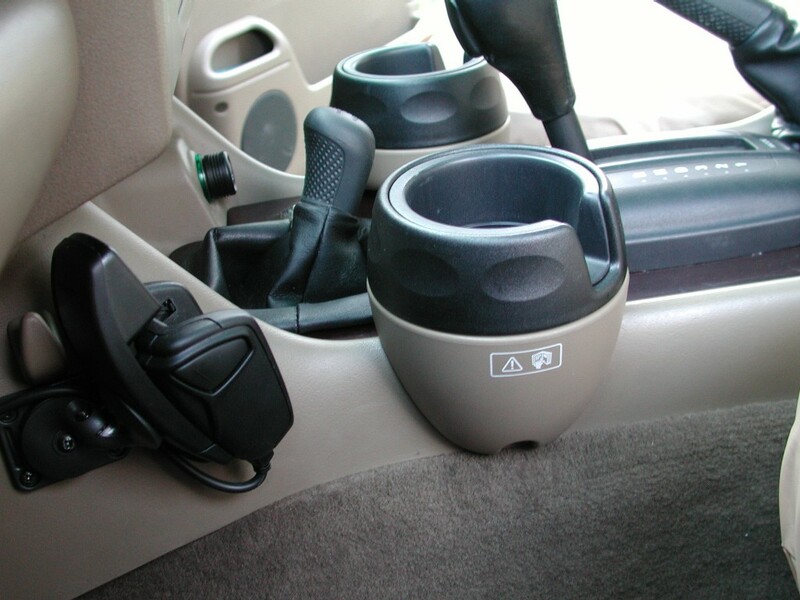 The cup holders come as a kit, they will fit Discovery 1 and 2 and are available in 2 colours, Bahama Beige and Grey. The top section can be turned so the handle of a cup faces either way, and you can also remove the "inner" part and that makes the holder fit larger drinks like milkshakes from the drive thru etc. The fact they go so large is probably why all the US vehicles seem to have them. I believe they were also fitted to G4 vehicles, and for our up and coming trip to morocco, I'm sure they will get used quite a lot! !